My local camera club decided on a field trip to the Circle B Bar Reserve in Polk County. 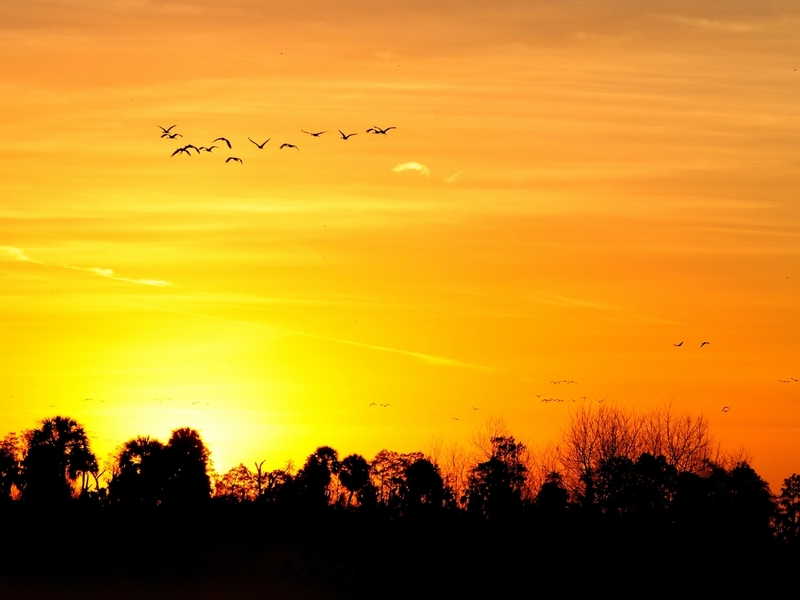 This is a fantastic area for viewing waterfowl both local and migratory. The plan was to meet and carpool at 7:30 for the 1.5 hour drive. A friend and I decided to leave early to catch the morning at the site. We had done this previously on our own and enjoyed the sun rising over the marshes. There is a large population of American White Pelicans (Pelecanus erythrorhynchos) which overwinters at the Circle B Bar. Every morning they leave their overnight roost and fly to Lake Hancock and other feeding grounds in the area. 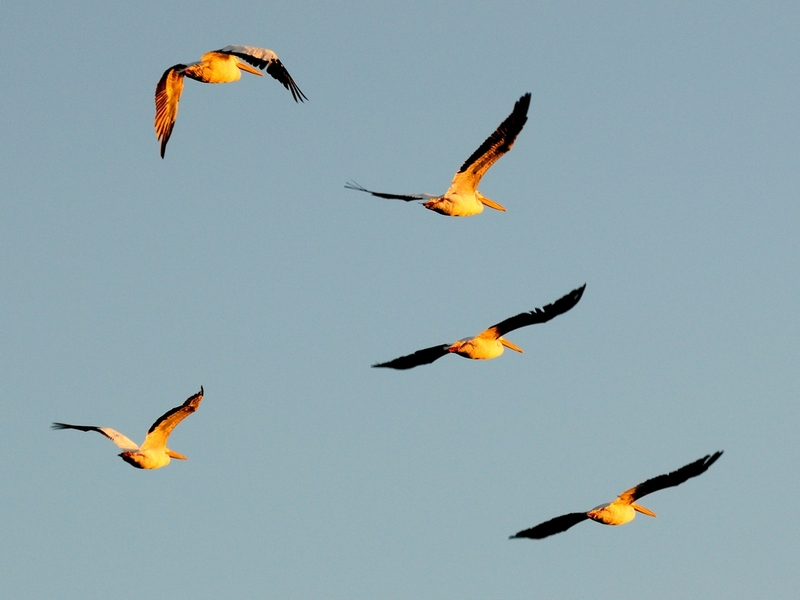 It’s quite a sight when when dozens of pelicans fly in a skein overhead. The problem arises when you try to photograph them. If you try to shoot the whole skein, individual birds are too small to see. If you try to shoot individual birds, there are always others in the frame. So, shooting small groups suits my tastes best. But, pelicans aren’t the only thing that lives here. There are plenty of other waterfowl on the reserve. 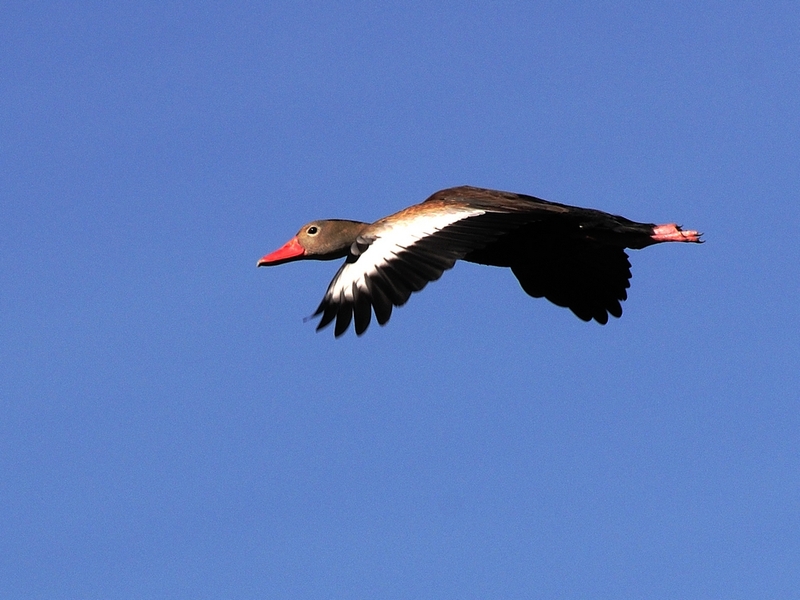 One of my favorites is the Black-bellied Whistling Duck (Dendrocygna autumnalis) It is a small duck and is called the whistling duck because it doesn’t quack like other ducks. it has a whistly chirp like other birds. They are very communal feeding in the mud of the marshes and nesting as a group in trees. 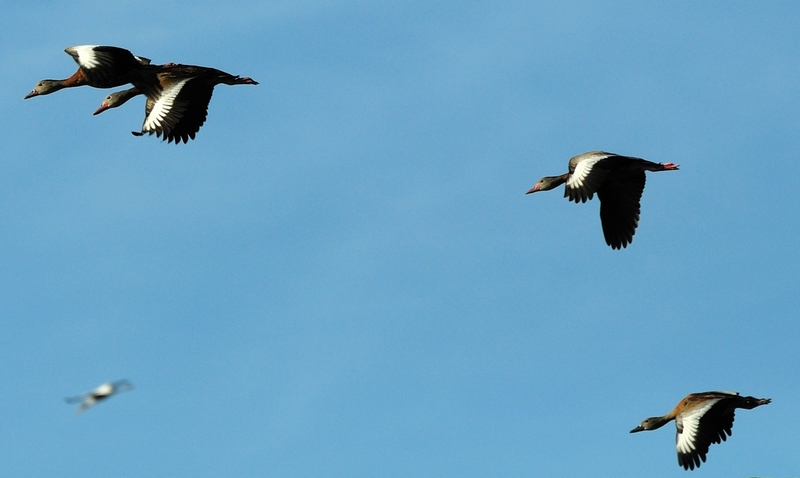 Compared to the clean skeins and vees of other waterfowl in flight, these guys are absolutely chaotic. They also roost in trees overnight which is one reason some folks call them tree ducks. Males and females look alike. the ones with the dark grey beak are juveniles. Lots more to come from this trip. 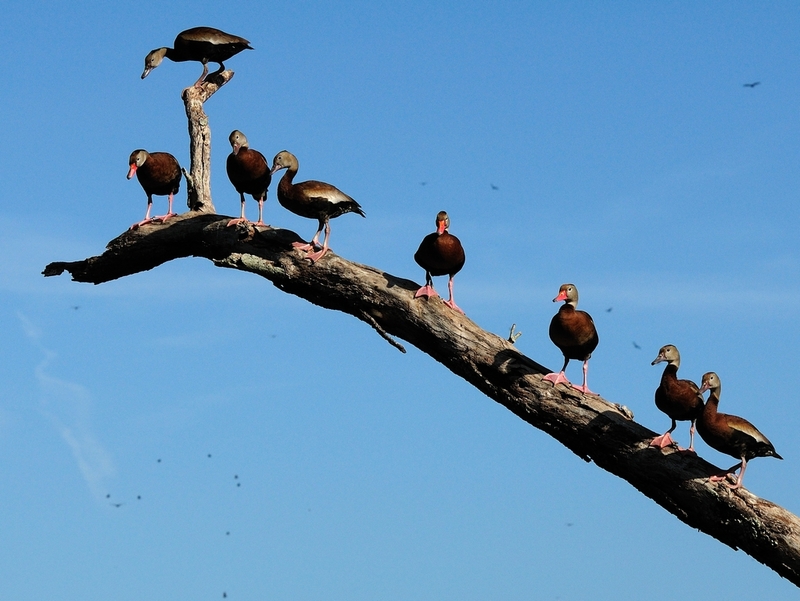 This entry was posted in Bird, Park and tagged Black-bellied whistiling duck, Circle B Bar Reserve, Photography, tree duck, White Pelican. Bookmark the permalink.